With constant digitalization, more and more new businesses and startups have started to rely on online platforms. When every business of today is striving to build a reputable presence, it becomes difficult to have a significance identity of your own. The traditional modes and methods of marketing were extremely taxing but with the emergence of video marketing, businesses have been given the chance to put forward their offerings, services and products once again but more effectively. 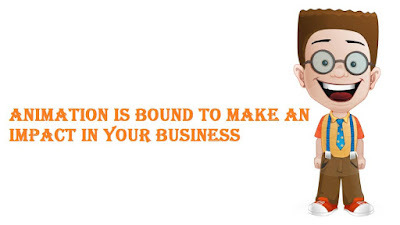 The requisite for creating an animation videothat sticks out is to make it visually engaging. However, before you proceed to create your video, you have to find your audience and assess what they would prefer to see. You can build brand recognition only if you know what your target audience will find beneficial and interesting to watch. Managing to find your niche in animated video content will lead you to shape your brand identity among your customers and that in turn will improve your credibility. An animated video can serve many purposes in video marketing. From the direct selling of products to extending your services, you can do so much with an animated video alone. However, the basis of video marketing is not solely built on generating sales either. With the proper execution of video marketing strategies, it becomes easier for businesses to exhibit their values, vision and offering with ease. It becomes taxing to convey your message in the form of text or images. By using an animation video, you can communicate your message more fluently. It encompasses every form of content, images and animations to exhibit the entirety of the message you intend to convey. This makes you realize how animated videos do not have a particular domainand with its proper utilization, you can even emotionally connect to your audience. The utmost investment of today’s time is in the realm of video marketing. Animations being the most effective form of digital marketinglet you market your business propositions, offerings and almost anything that you can think of. Animated video content does not allow you to be limited to a certain boundary instead you can expand your horizon and try out different and unique marketing strategies using animations. With the upsurge of social media and networking platforms, you also can reach out to more and more people online. Going viral is one of the tendencies that solely videos have. You can utilize videos as promotional content on your website but it is a more effective approach to make use of social media for advertising purposes. The entirety of social media channels is based on its levels of virility. Platforms such as Facebook and YouTube encourage individuals and businesses alike to post visual content. With the option to share with friends, if you happen to create a custom animated video that is perfectly executed then it will not be difficult for your brand name to go viral in no time. Brands also use images and trendy caption to capture the attention of their audience but it is a time consuming process. That is not the case with animated video content as if your video sticks into the mind of your viewers then there is no publicity form that is any better than animations. Acquiring free advertising across various online channels, the production process of animated videos is also not a time consuming endeavor. Ultimately, the utilization of animated videos is mostly for marketing purposes but which platforms benefit the most from it? Websites do. The only online platform that demands quality content on a regular basis is a website. Digital marketing itself relies on various sorts of content but if you happen to have a website then an incorporation of a promotional animated video would do wonders for you. The best part about animations is that if you are able to create one quality animation then you can publish and use it across numerous social networking sites and websites. With a video, you can establish consistent themes and bring sustainability in the content you create for your audience. Although images and textual based content sounds easier to create however, with an animated video you can make the execution of your marketing strategy more credible andreliable. Social media has given businesses countless of benefits as well. You can also schedule your posts on social media channels which in turn allow you to focus on other essential business operations.